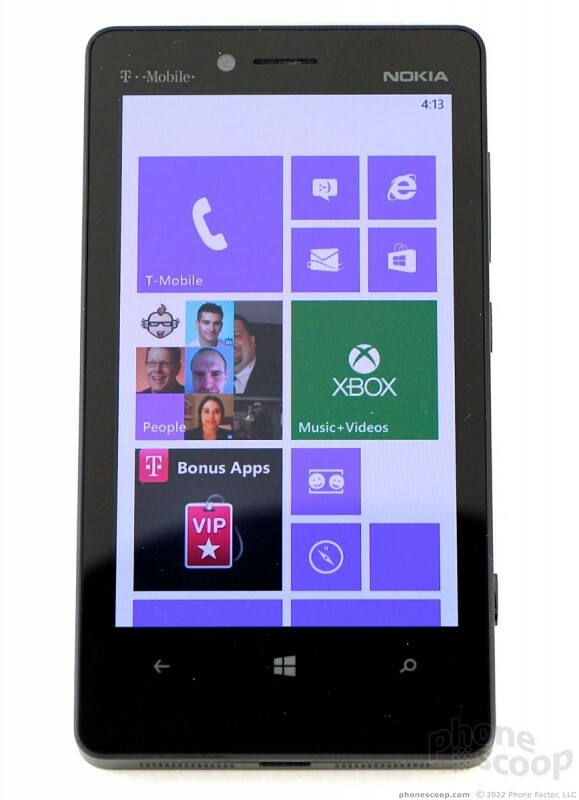 The Lumia 810 is a solid mid-range Windows Phone for T-Mobile USA. What it lacks in style, it makes up for in functionality and performance. 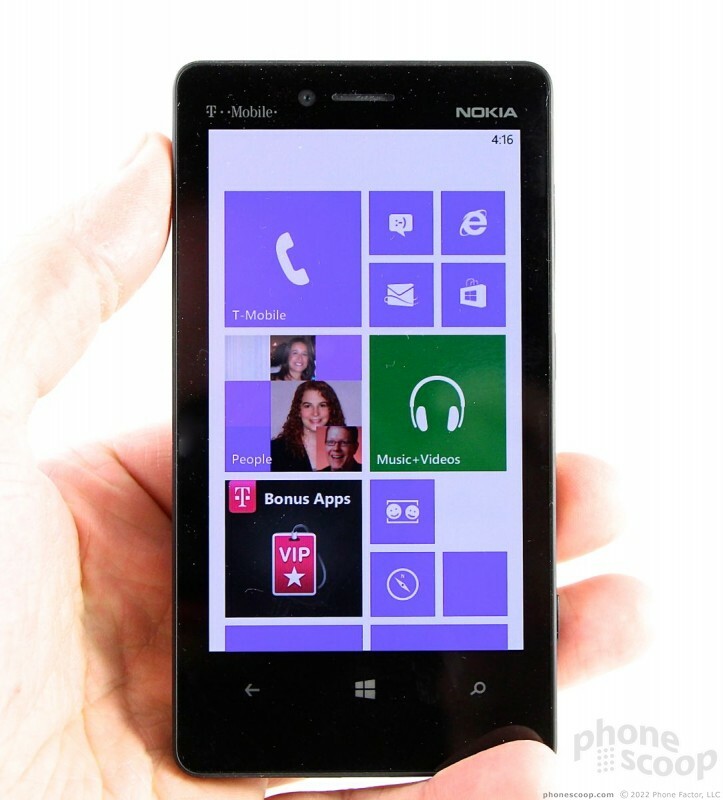 The Lumia 810 is a new Windows Phone device from Nokia for the T-Mobile network. 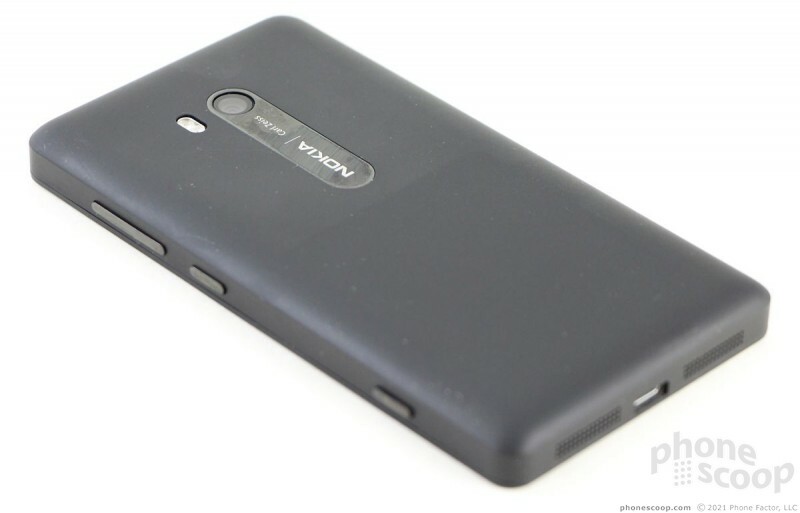 It offers Windows Phone 8, an 8-megapixel camera, fast mobile data, and interchangeable shells for added personalization. 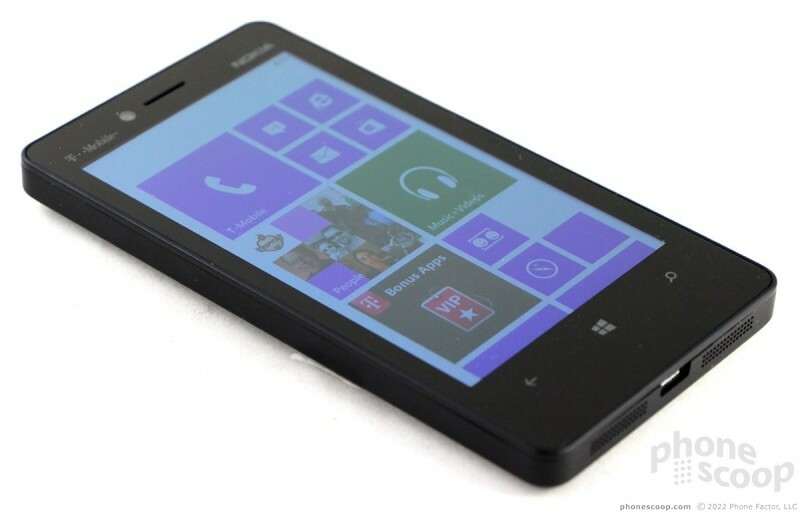 The Nokia Lumia 810 doesn't have quite the personality — nor the accompanying heft — that the Nokia Lumia 920 does. It's smaller and lighter, but blockier and more rectangular in design. It's the type of smartphone hardware that Android makers were kicking out in droves back in 2010. It's a sizable slab of smartphone that (thankfully) comes in a handful of different colors. The corners are pronounced and the sides are flat enough that it can stand on its edges. Rather than offer a smooth transition from the front to the sides, it has a sharp corner where the display meets the edge. This accentuates the blocky look of the phone. It's not bad looking; it's spartan. 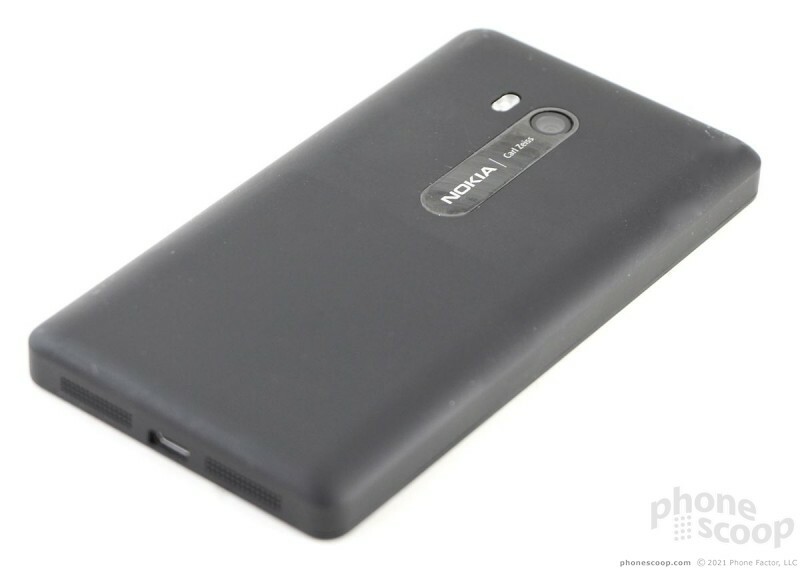 Nokia managed to make the 810 comfortable to hold thanks to the curved back surface. I found it no problem to grip tightly in my hand. The side and back surfaces are made from a single piece of plastic. There are no seams. The material has a matte finish that stops short of providing the sort of traction that a soft-touch paint job would provide, but it does add some. You won't have trouble getting it into your pocket, but you'd best put it in so the screen is against your leg, lest the hard front edge make a visible outline on your jeans. 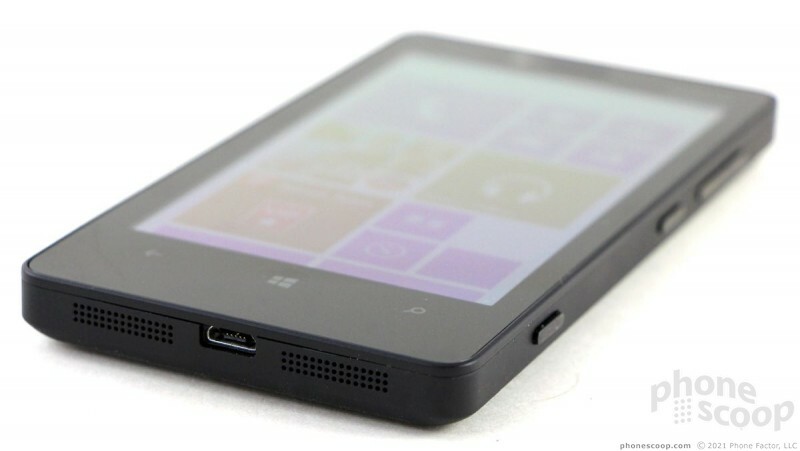 The front of the 810 is a simple black surface. There's a (perhaps too) generous bezel surrounding the display, with nearly an inch of black space below the screen for the three capacitive Windows Phone controls. The controls work well and include a pleasant amount of haptic feedback. 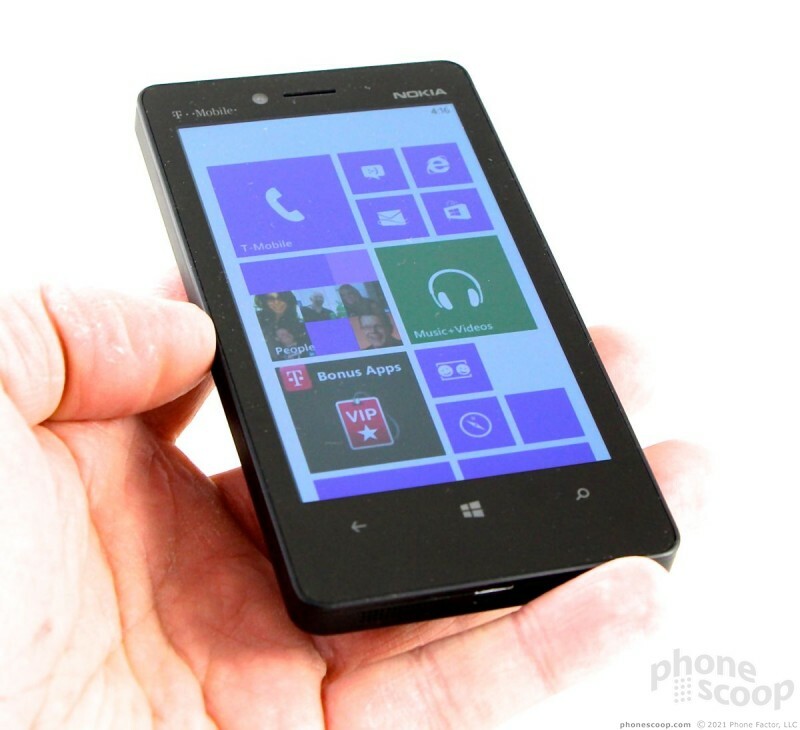 Just as on the Lumia 920, the controls for the 810 are all along the right edge of the phone. The volume toggle is closest to the top, followed by screen lock button, and finally the dedicated camera button. All three of these buttons have excellent travel and feedback. Nokia did a really good job with them. I especially like the two-stage camera button, which has well-defined action. The microUSB port is on the bottom of the phone and the headphone jack is on the top. There are no ports or buttons on the left side. One of the 810's biggest features is that the back cover is interchangeable. Nokia designed the cover well. It is easy to remove, and doesn't feel flimsy or weak. Sadly, our review unit didn't come with any spare covers, but they are available in a handful of bright and cheery colors. As far as removable covers go, it's the best I've seen in a long time. The 810 also works with covers that can accept wireless inductive charging. They are a separate purchase, as is the charging pad. 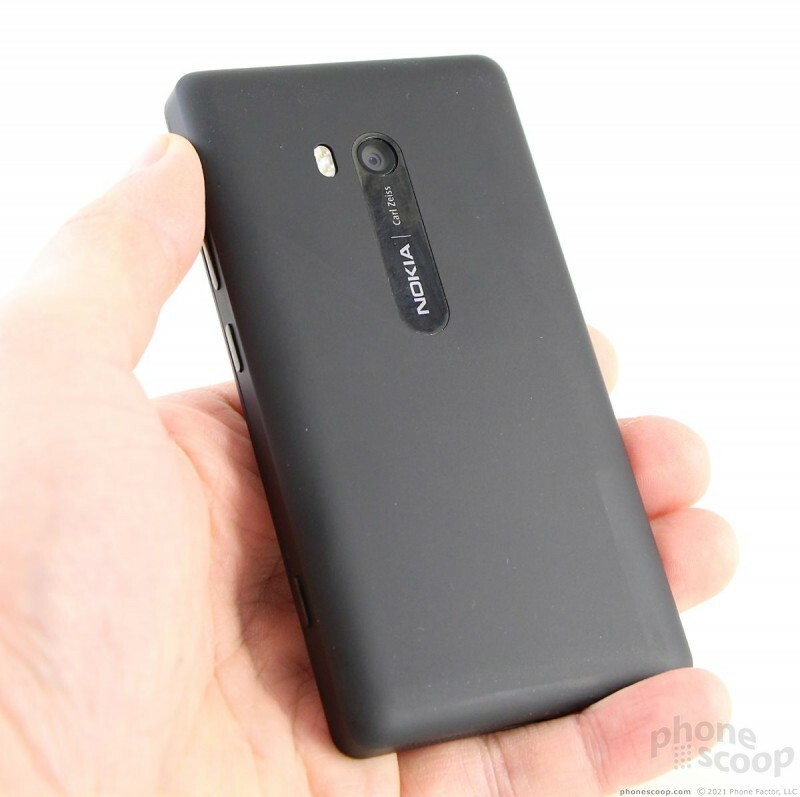 Another feature the 810 has that the 920 doesn't? A removable battery. That's right, with the back cover removed, the battery, SIM card, and microSD card are all available for pulling or swapping. 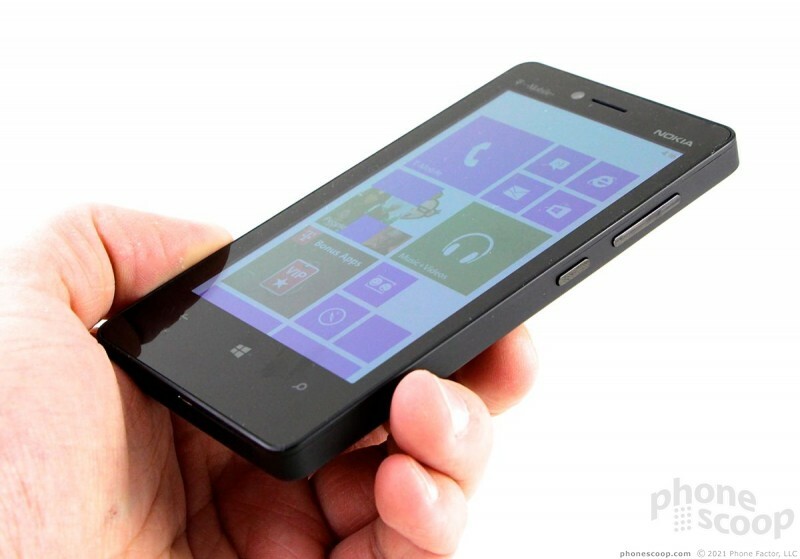 The Lumia 810 may not be a subtle device, but then neither are most of the new Windows Phone handsets. 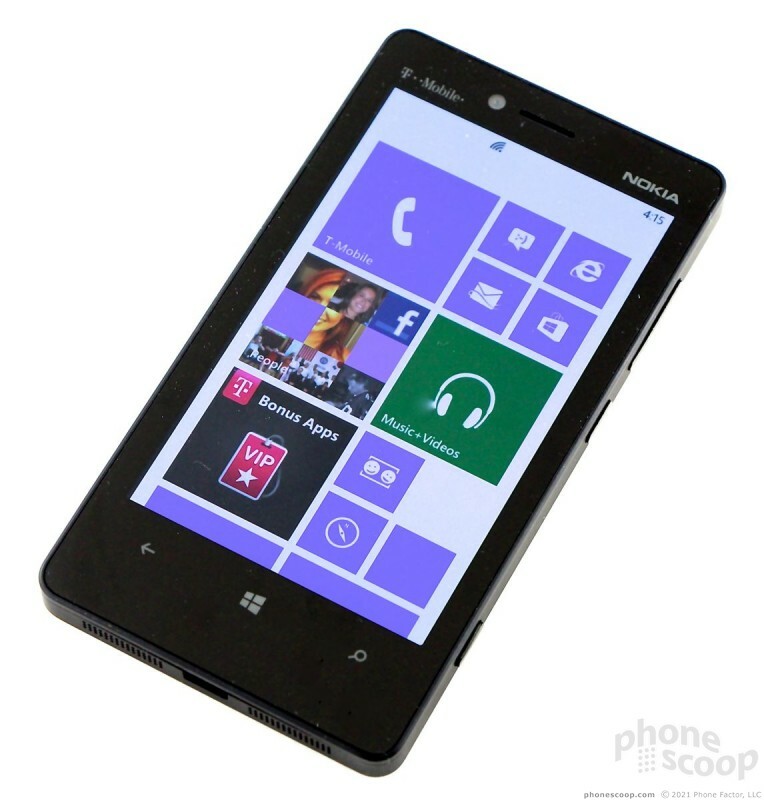 T-Mobile had the Lumia 810 available for Phone Scoop to take a gander at. This Windows Phone is big, blue, and brawny. 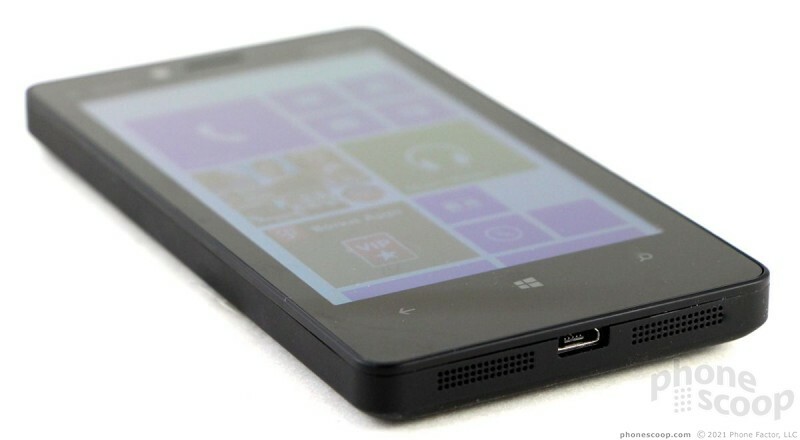 Nokia and T-Mobile USA today announced the Nokia Lumia 810, a Windows Phone 8 device that will be exclusive to T-Mobile. 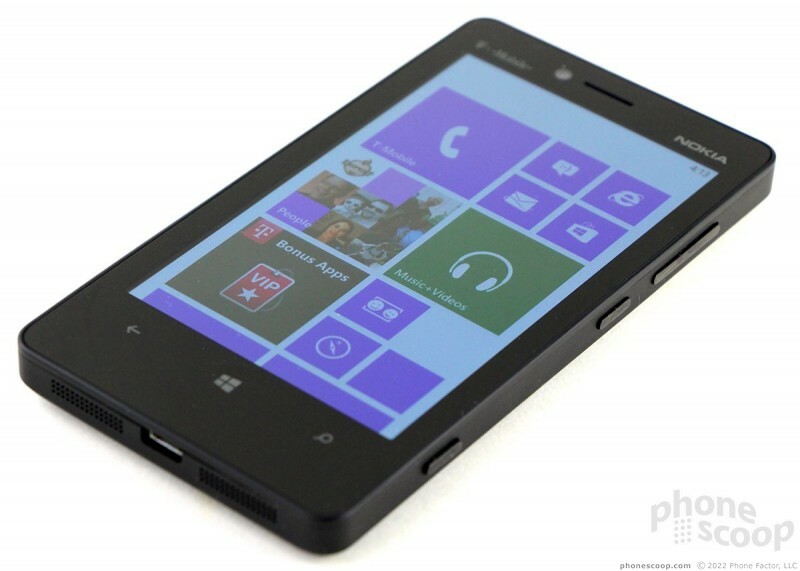 The 810 is mostly similar to the already-announced Lumia 820, but lacks LTE data. Nokia today announced Nokia Music+, a more feature-rich version of its free Nokia Music service. Nokia Music, which is available on Lumia Windows Phones, has its own store through which tracks and albums can be purchased. I got to try out this phone earlier today. This is an excellent phone, I was very impressed with the build quality, and it feels great in your hand. Very, very snappy screen too. Not surprised. Windows Phone OS is the ****. Most don't want to even give it a shot cuz of Android. But Windows takes a giant dookie on Android and iOS. Looking to pick this up too.